It's another edition of our off-season league updates. Each week, we'll take a tour around the globe for a look at Phillies talents participating in various autumn and winter action. 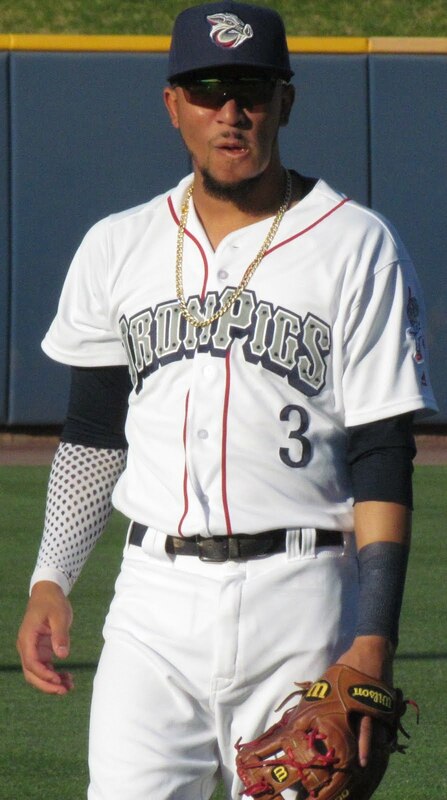 Shortstop Freddy Galvis (pictured, left) is batting .321 with two doubles, a triple and three home runs through 14 games with Zulia. The switch-hitter is just 2-for-16 (.125 avg) against lefty pitchers. Infielder Harold Garcia has been playing some third base for Zulia. The 26-year-old is 4-for-12 with a double and a triple through five contests. Outfielder Tyson Gillies returned to action on Wednesday after missing nine days with a hamstring strain. 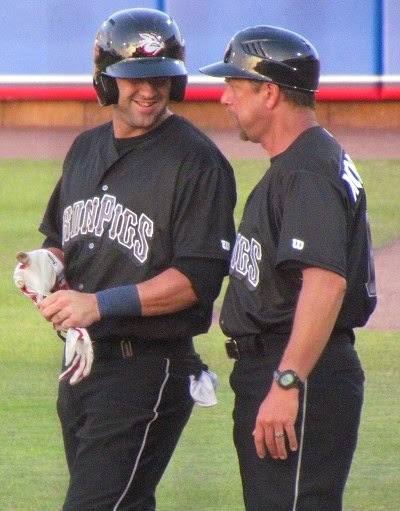 Gillies, who turns 24-years-old this week, is batting.385 with a double, a triple and two RBI in seven games for Lara. Gillies has been plagued by injuries throughout his career, since joining the Phillies organization as part of the Cliff Lee trade with Seattle in December, 2009. 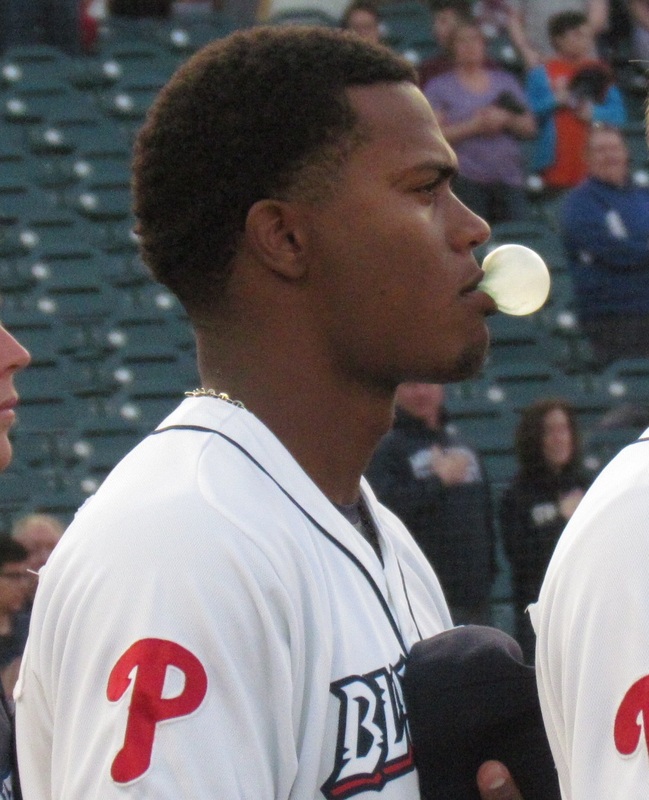 Ruf's teammate with Reading and La Guaira Justin Friend has a 2-1 record with a 2.57 ERA and a .233 batting average against in seven relief outings. Additionally, Friend has struck out eight and walked two in seven innings pitched. 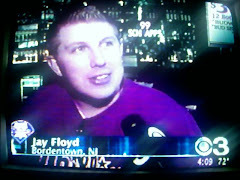 Friend, a right-hander, was a minor league Rule 5 selection by the Phillies, from Oakland, in 2010. Also pitching for La Guaira, Mike Cisco has thrown 6 1/3 scoreless innings. 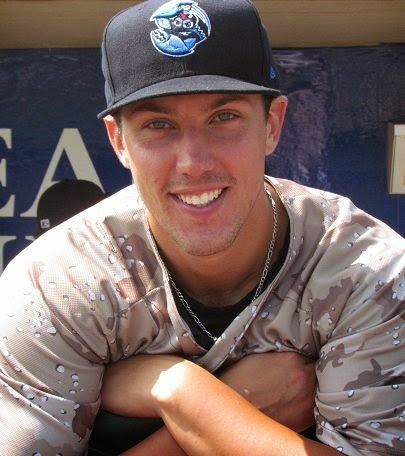 The 25-year-old righty was a 35th round draft pick by the Phillies in 2008 and is the grandson of former Phils pitching coach Galen Cisco. Eastern League All-Star second baseman Cesar Hernandez is batting .186 with two doubles and a triple in 12 games for Margarita. The 22-year-old has also stolen a league leading six bases. 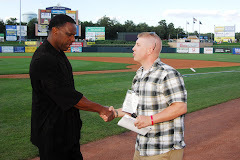 Infielder Edgar Duran (pictured, right) is batting .250 with two doubles, a homer and three RBI in 11 games for Margarita. 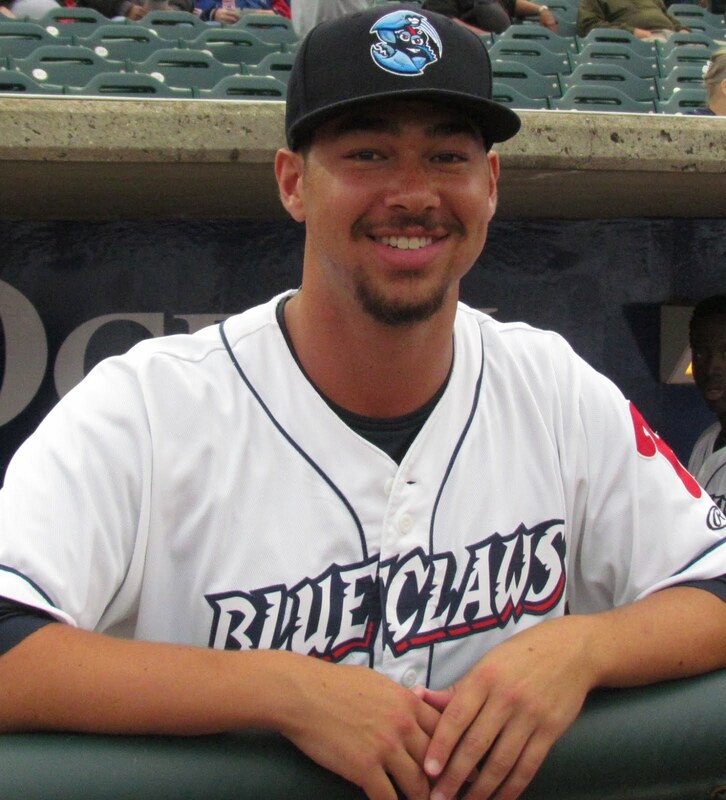 Following off-season finger surgery, Duran, 21, spent the 2012 regular season with Class A Advanced Clearwater, posting a .253/.310//357 line in 121 games. 20-year-old right-hander Manaure Martinez has a 1-1 record with a 3.68 ERA in six relief appearances. The 6-foot-1 155-pounder has notched four strike outs and dished out four walks in 7 1/3 innings. 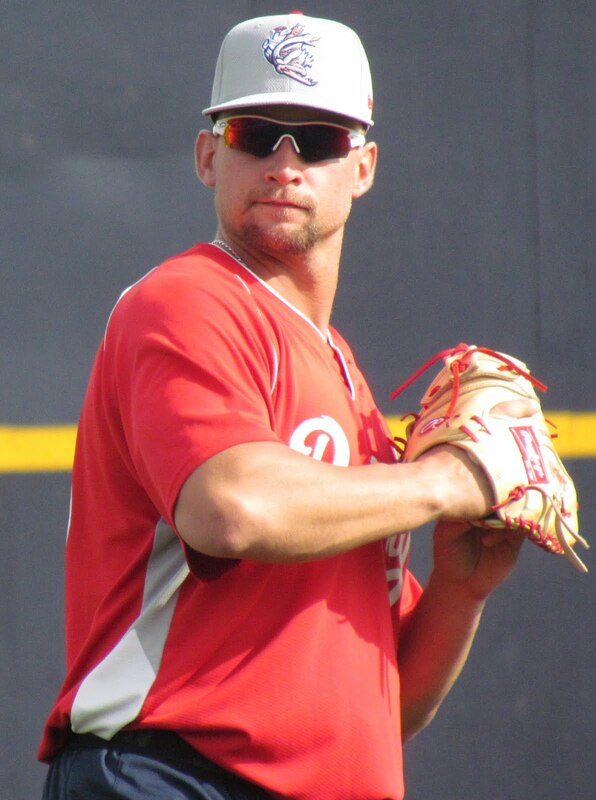 Martinez spent time during the 2012 regular season with the Gulf Coast League Phillies and the short-season Williamsport Crosscutters. Sebastian Valle is batting .259 with two doubles, two home runs and seven RBI. 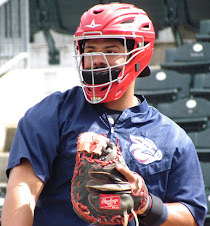 Valle has played outfield in the Mexican League the past couple years, to prevent extra wear and tear on his knees, but the 22-year-old has strictly played catcher for Los Mochis thus far this season. 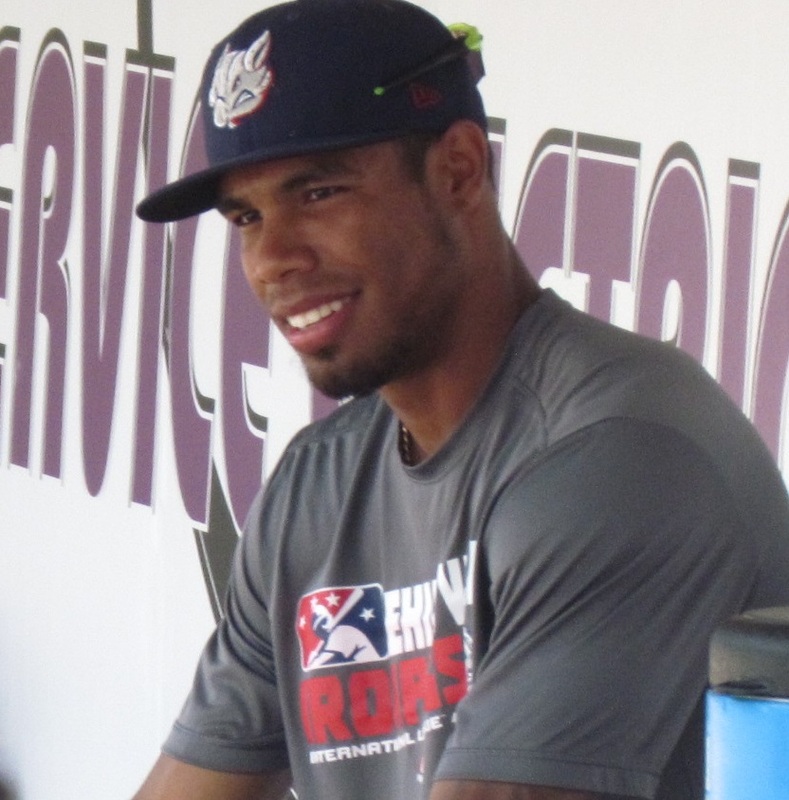 Outfielder Leandro Castro is 1-for-7 (.143 avg) through four games with Oriente. 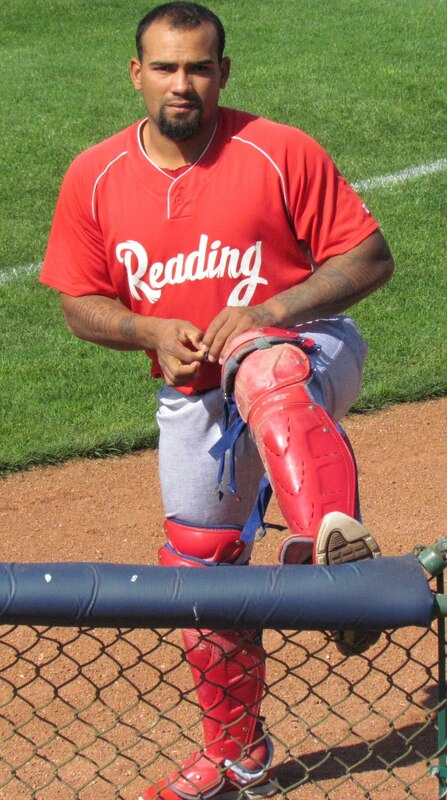 The right-handed hitting Castro, 23, batted .287 with 10 homers and 71 RBI in 133 games for Reading this year. 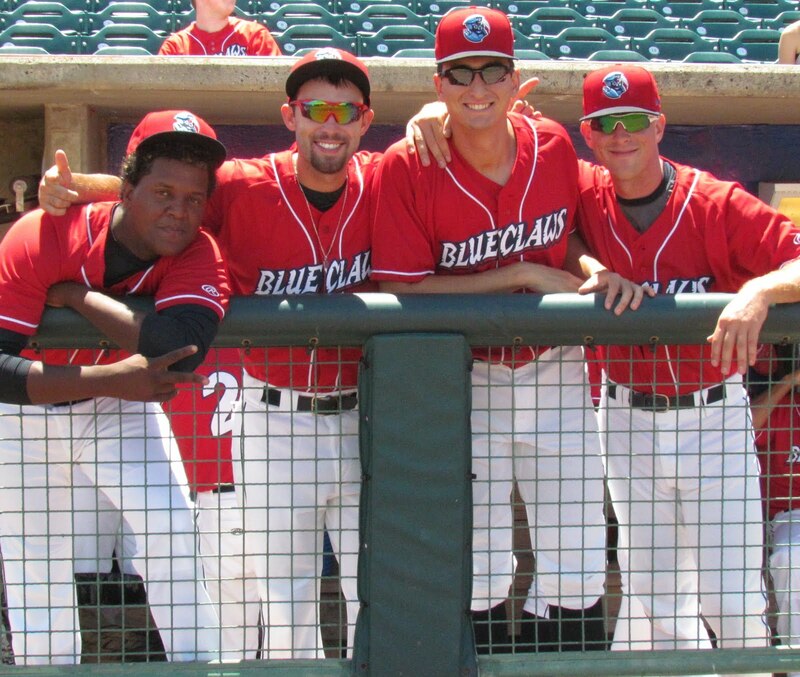 Third baseman Maikel Franco (pictured, left) has appeared in one game for Cibao, striking out in his only at bat. The 20-year-old batted .280 while slugging 14 home runs and driving in 84 runs with Class A Lakewood during the 2012 regular season. Righty hurler Lisalverto Bonilla has allowed two earned runs in 1 1/3 innings, but notched a save for Escogido. The 22-year-old posted a 1.55 ERA in 31 games at two levels during the regular season, but injured himself while horsing around at the MLB All-Star Futures Game festivities in July and missed the remainder of the regular season. Hector Neris, a right-handed pitcher, has appeared in one game for Este, while allowing a lone hit and no runs. The 23-year-old posted a 4-2 record with a 3.55 ERA in 50 games for Clearwater this year. Catching prospect Tommy Joseph missed six days due to a bout with the flu. Through seven contests, the 21-year-old has gone 3-for-22 (.136 average) with 1 RBI. 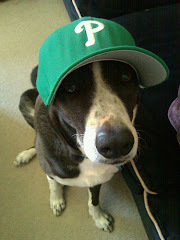 Joseph was acquired by the Phillies in the Hunter Pence trade last July. Third baseman Cody Asche has posted a .277 average with five doubles, a homer and seven RBI through 13 contests. 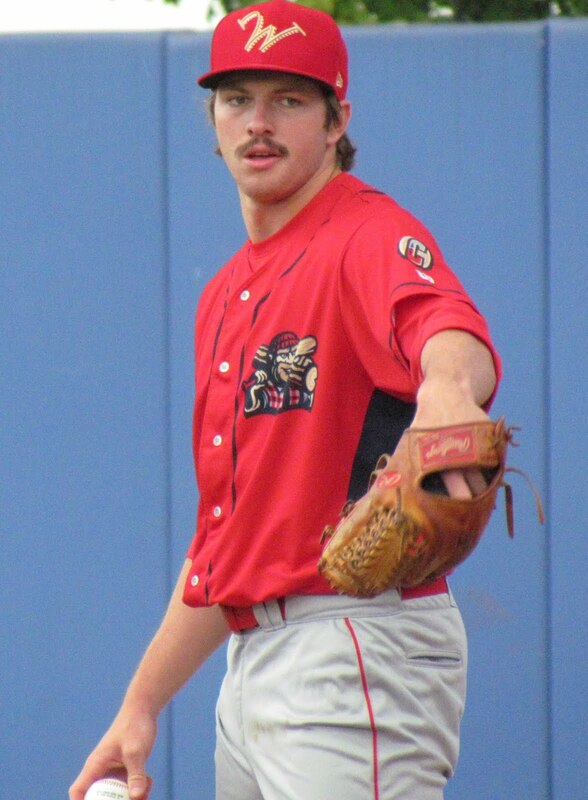 Asche, 22, was the Phils’ 4th round draft selection out of Nebraska last year. 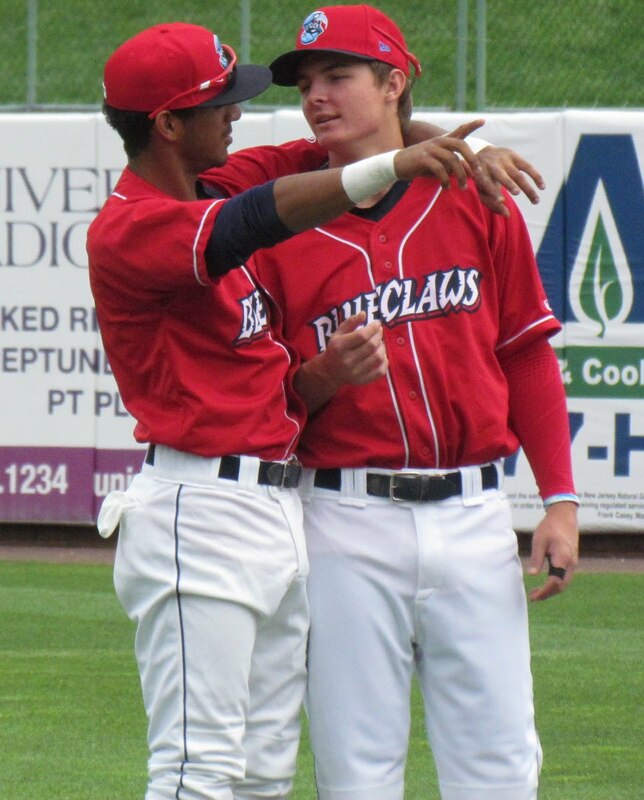 Outfielder Zach Collier (pictured, right), has tallied a .343 batting average with two doubles, two triples and five RBI through 11 games. The lefty hitting Collier was a supplemental round draft choice in 2008 out of high school. 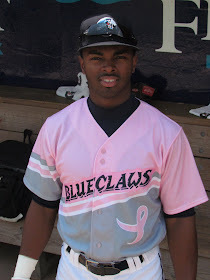 Collier posted a .269/.333/.399 line in 78 games with Class A Advanced Clearwater in 2012. Left-handed reliever Jay Johnson has allowed eight earned runs in 4 1/3 innings (16.62 ERA) over six appearances thus far. The 22-year-old Canadian spent some time on the disabled list this season with a shoulder ailment, but posted a 2-1 record with a 4.24 ERA in 33 combined contests at three levels. Righty Tyler Knigge is sporting a 7.11 ERA, as he has spread five earned runs over 6 1/3 innings. Knigge has walked four and struck out seven in that time as well. 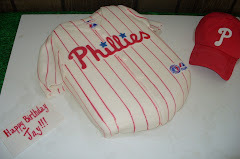 The 24-year-old was a 12th round draft pick by the Phillies out of Lewis & Clark State College in 2010. Right-hander Colby Shreve has no decisions and a 2.08 ERA in seven relief outings. 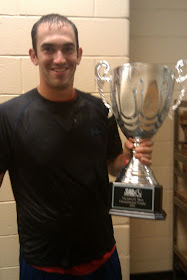 The College of Southern Nevada product has tallied a 3.54 ERA with a 7.24 K/9 mark in three regular seasons as a pro. 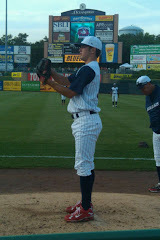 Kyle Simon, has had a difficult time, as a starting pitcher, in the AFL. Through four outings, the righty that was acquired in the Jim Thome trade from Baltimore has posted a 1-2 record with a 9.00 ERA. In 20 regular season games as a reliever, after joining the Phillies organization this year, Simon posted a 1.36 ERA. As some of these young future stars climb the developmental ladder, it may not be long before they garner recognition from folks that are prone to betting on the MLB. Check back regularly for player updates as well as exclusive player interviews all throughout the autumn and winter months. 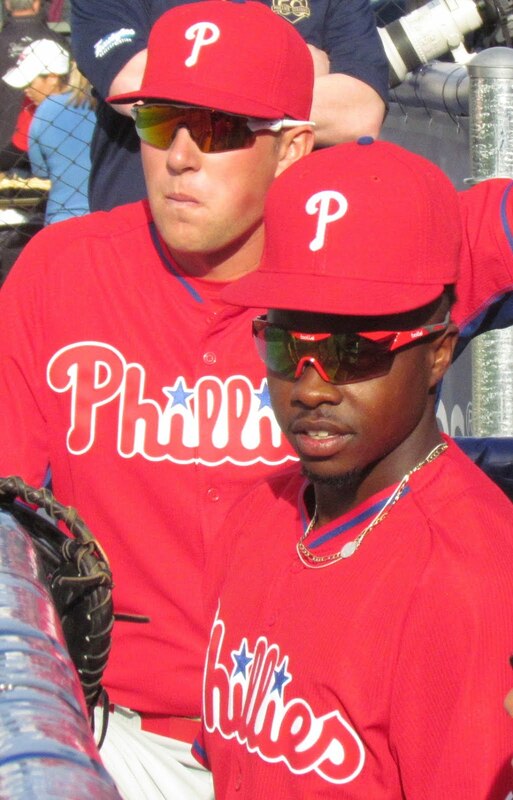 I really hope that Tommy Joseph and Cody Asche are major league ready for 2014. I think both can be impact players at the big league level and can help keep the Phillies payroll down so that they can use their resources in other much needed places on the roster. 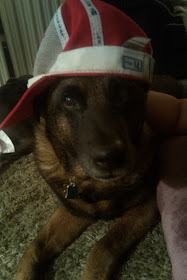 I think there's a solid chance Asche could make an MLB debut in 2013. Not a lock, by any means, but if his progress continues at the same pace, he could be ready to help the club soon.